Berlin’s leading Privacy is here to make his Hungarian debut in LÄRM. His productions are mainly built on the basis of electro and techno but you can hear a lot of acid, EBM and new wave elements in his tracks. During this relatively short time he played regularly in acknowledged places like Griessmuehle, Leipzig’s finest Institut fuer Zukunft or Berghain / Panorama Bar. The first milestone in his producer career was the tenth release on Lobster Theremin after he made a bunch of records on noted labels, like Klasse Wrecks - runned by Luca Lozano and Mr Ho -, UK based Cultivated Electronics or the dutch Klakson. The best proof of his DJ talent was that Panorama Bar resident Steffi chose him to support her on the her latest album tour. 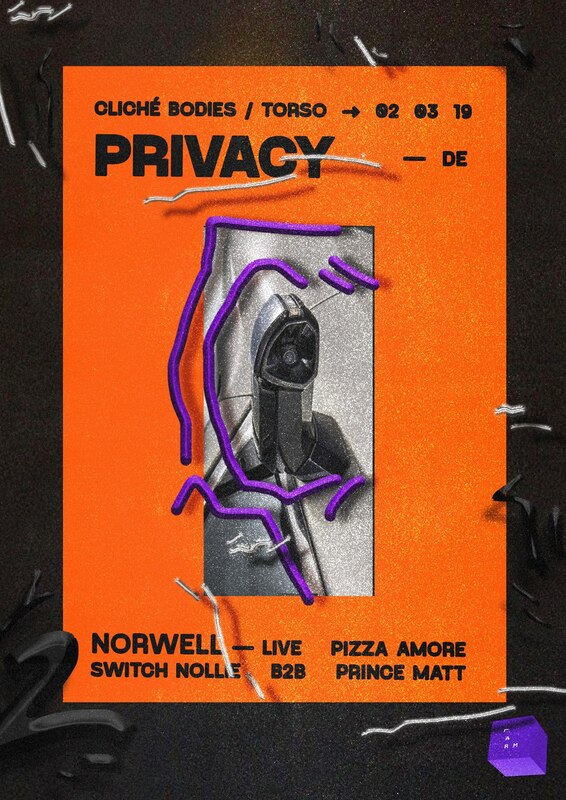 Norwell is one of the most important producers in the local electronic music scene. His works' main focus is also electro, but new wave synths sounds are more often represented. He made 4 albums and 12 EPs during the years, which are released on labels like the famous Pinkman, Hungarian Dalmata Daniel, Imre Kiss runned CRISIS, and naturally the Farbwechsel, which is co-founded by him. His tunes are played by techno’s finest selectors like Helena Hauff and Daniel Avery.